This open, yet traditional home offers a practical & timeless floor plan- perfect for just about anyone! Interior details include: neutral flooring & paint colors, 42'' kitchen cabinetry, SS appliances, updated lighting, plantation shutters & more. Large family room overlooking the backyard & open to the kitchen, including an eat-in space. Fall in love with this tranquil, private backyard. The screened lanai overlooking preserve is the perfect spot for your morning coffee or an evening glass of wine. 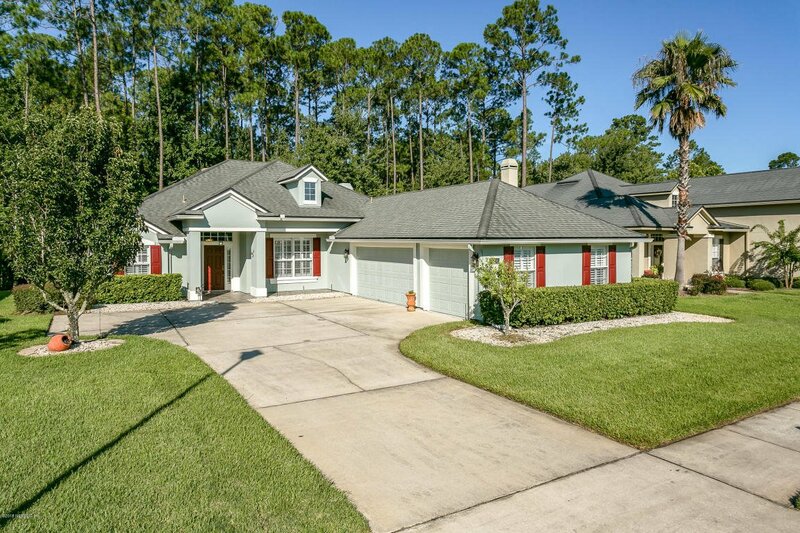 This superb home is centrally located to get anywhere in Fleming Island. Come see what Eagle Harbor is all about, a welcoming community offering 3 pools, tennis, golf, walking trails, clubhouse & much more. Top Notch Clay County schools are a bonus! ... and who wouldn't love a 3 car garage!?! Listing courtesy of COLDWELL BANKER VANGUARD REALTY. Selling Office: RE/MAX SPECIALISTS.